Lisa Rhys received her Master of Science degree from the Johns Hopkins University Department of Counseling and Human Services, Clinical Community Counseling program. She is a Licensed Mental Health Counselor and a Masters Level Licensed Alcohol and Drug Abuse Counselor in the State of NH. Lisa has a diverse set of therapeutic skills that can best be described as eclectic. She has advanced professional training and experience in evidence based and emerging techniques to include Cognitive Behavioral Therapy, Dialectical Behavioral Therapy, Solution Focused Therapy, Grief Therapy, Prolonged Exposure Therapy, and the bilateral stimulation therapies, to include EMDR. Lisa has worked with individuals, groups and couples in various settings to include community mental health, medication assisted addiction recovery clinics, and private practice. She has experience treating a full range of mental health issues and has a special interest in trauma, grief, and opioid addiction. Lisa is a veteran of the United States Army and completed a prior career in Counterintelligence Operations/Intelligence Analysis and Information Security prior to her decision to become a mental health counselor as a “second career”. 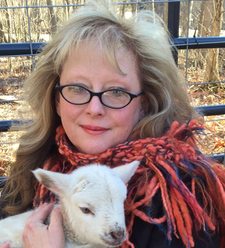 Lisa and her family operate a small farm in northern New Hampshire, raising heritage and endangered sheep breeds. She has been a foster for New England Border Collie Rescue and has working Border Collies on her farm.